The building industry is guided by many laws and regulations. 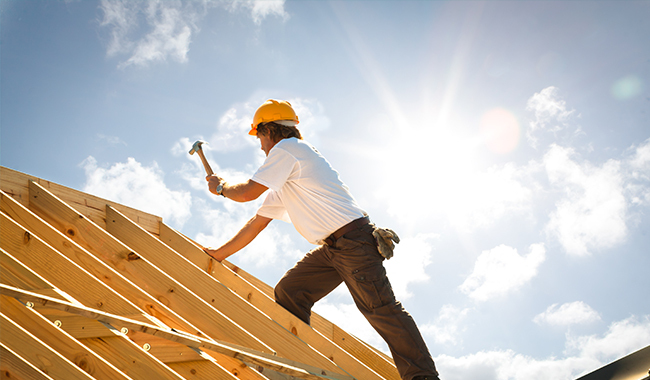 It is important to start a building project with this knowledge or have a building professional involved early to make recommendations which could save time, money, and heartache. The construction industry has a process that if used properly will help to protect all parties involved from loss, failure, and litigation. Learn the process and what is required by the building department and local officials, who are there to help and serve you. Start by finding an experienced, trustworthy professional like an architect or contractor that understands your vision, goals, and future growth plans. Check your local zoning and planning commission to ensure that the building can be renovated into a church or whatever usage or occupancy is needed. Check local codes, districts, overlays, or historic restrictions that could stop the plans from moving ahead. Do not be afraid to walk away from a building that looks like it has “potential” yet could turn into a nightmare to renovate. Check for asbestos, mold, lead, hazardous materials and major structural issues before purchasing. A professional can provide cost estimates of the project before buying a building to reveal hidden costs. Many contractors will provide an estimate at no cost since they may be awarded the work. Be cautious with structures that would be cheaper to raze and build new than to make costly renovations. Commercial construction is complicated. Do a lot of research before making the commitment to buy or renovate. After a building has been purchased, do not begin renovating without checking with the building and fire department or obtaining a building permit depending on the type of renovation involved. Do not assume that the renovation is small and does not require a permit. A church is for the assembly of many people and must ensure that the building and grounds are safe. Make sure that whoever is doing the renovation is licensed and has all the qualifications. Unlicensed contracting is a felony in some states. Insist on quality and professional work. Make sure to receive all warranties and training to use new equipment. Learn what is included in your construction drawings, specifications and contract. Document all communication between the church or its agent and the authorities having jurisdiction. Gain the support of the board and members. No one person should take on the project by themselves or hold on to all the documents. We are in the midst of a construction boom, so do not be surprised by the high price of construction. Use the tax exempt status to purchase materials direct to obtain discounts. Ask vendors and suppliers for discounts or donations of materials since many will grant a price cut to nonprofits, and churches especially for volume purchasing. Start fundraising early and add a contingency of 10 to 15 percent to your initial budget for unforeseen things that may arise during construction. Typical things forgotten in a renovation budget: design fees, hazardous materials abatement, furniture, fixtures and equipment, signage, permitting fees, site work, drainage, utilities, landscaping, parking, fire sprinklers, and audio visual. Examples of big ticket renovation items: Ensure that the air conditioning is adequate to cool a large congregation and make sure there are enough toilets and sinks. Do not pay in full for incomplete work. Find out how to hold on to a retainage for work still to be completed. Some projects start and go on for many years with no end in sight. Most professionals can provide project management and scheduling services. Produce a project schedule with clear milestones and dates that must be kept to make sure the project is on time and on budget. Tie the renovation schedule into the fundraising schedule. Set manageable and obtainable goals that are short and small at first to make sure the support from donors and members continues, and they remain excited and involved. Tips that will make your project a success: Fast, pray and ask God if this is the right thing to do. Make sure you have a Spirit of unity and team work before starting. Be organized and have clear lines of communication. Have strong leadership and commitment to the project. Get everyone involved. Use all the skills of the members. Produce a rendering of the completed project. It’s not great plans that make great projects. It’s great people.